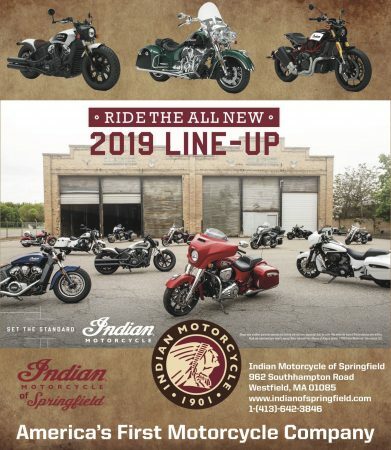 NEWBURGH, N.Y. – Pulling into a parking space outside the employees’ entrance of the Motorcyclepedia museum one recent morning, it was impossible not to notice an old Indian strapped down in the bed of a nearby pickup. The truck had an Ohio license plate, suggesting the bike had traveled some distance to get there. 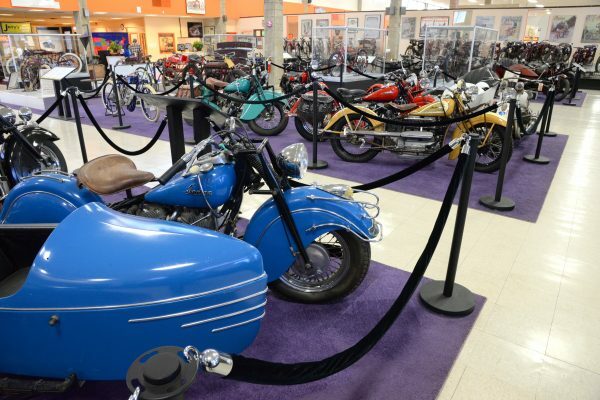 Was it perhaps the latest acquisition of the nearly four-year-old motorcycle museum at 250 Lake St.
A short while later, the bike having been moved inside the museum, I was informed that, yes, it was destined for the Indian Time Line display on the museum’s main floor. I also learned, as Paul Harvey so memorably used to say, the rest of the story. 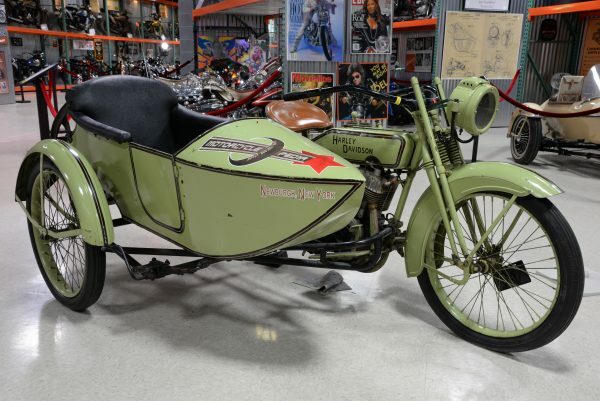 The Indian wasn’t just any old model, rather a 1914 “Two-Speed,” the same model that famed early 20th century racer Erwin “Cannonball” Baker rode from San Diego to New York in a record 11 days, 12 hours and 10 minutes in 1914. 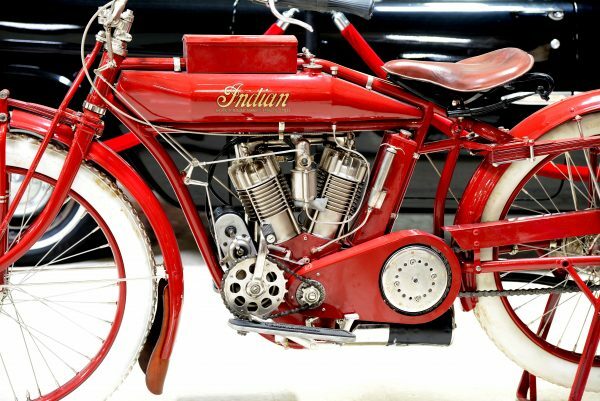 As timing would have it, motorcycle restorer Bruce Linsday of Chagrin Falls, Ohio, had just arrived to deliver the Indian after having spent eight months rebuilding it. Museum director Ted Doering had given him a few components and Linsday had worked some magic. 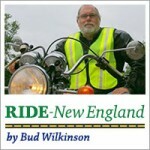 All he had to begin with were “a frame, a fork and a couple of wheels,” Linsday recalled. However, the Indian now looked like it had just come off the assembly line as it sat tucked behind two motordromes in the back room on the museum’s lower level. “Everything was missing. 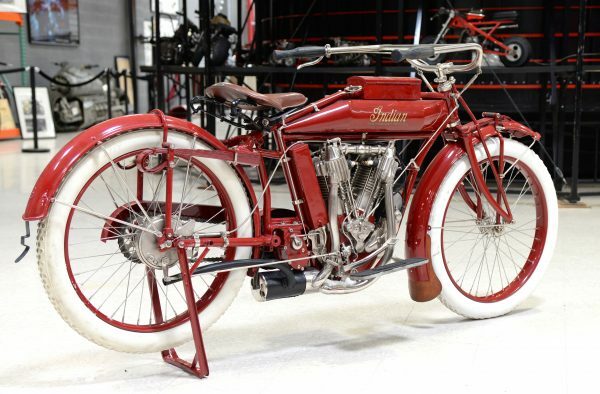 There was no motor, no handlebars, no seat,” said Linsday, detailing the challenge as Doering stood close by admiring the completed 101-year-old bike. Getting to see a bike such as this is what makes visiting Motorcyclepedia so special. The museum is aptly named. 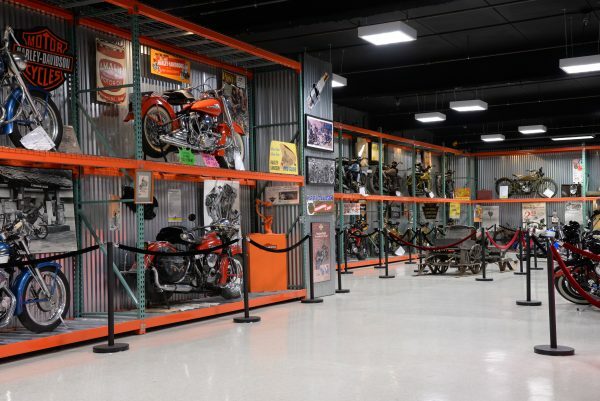 Spread over two floors and having 85,000 square feet of exhibition space, it has more than 500 motorcycles on display. 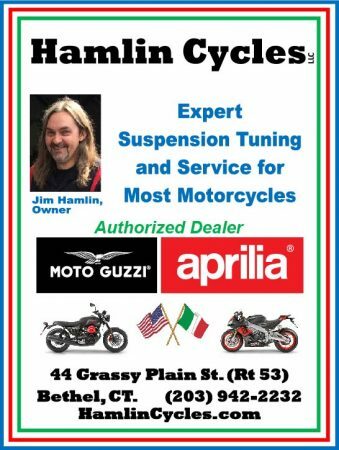 They range from long-forgotten early American brands such as Thor, Cleveland, Pope, Yale, Shaw, Emblem and Pierce to existing foreign badges like Triumph, BMW, Honda and Kawasaki. 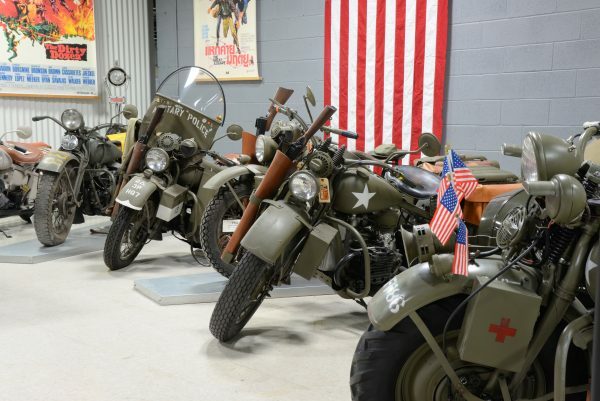 The bulk of the collection consists of old Indian and Harley-Davidson models. 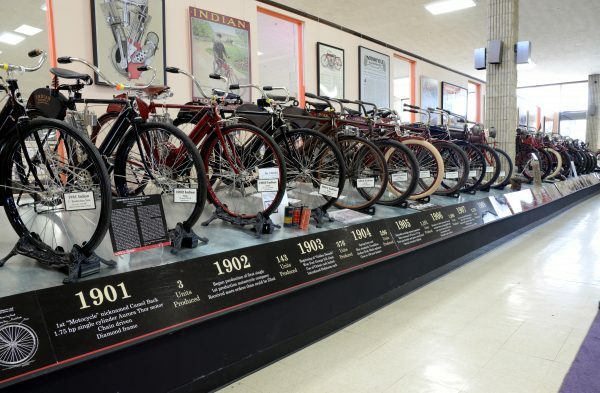 In the room on the main floor devoted to Indians, there’s the Indian Time Line, which features bikes from the original Indian’s existence between 1901 and 1953. There are also numerous other Indians. 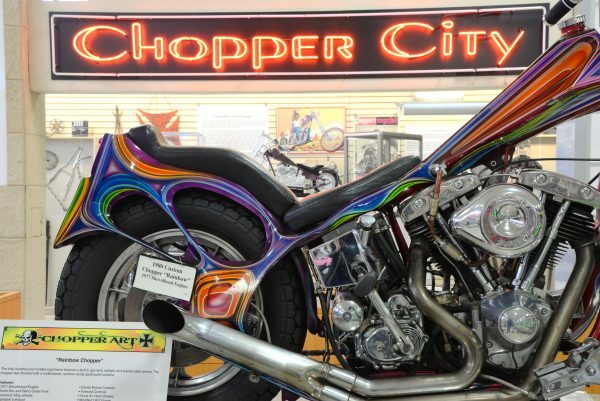 Downstairs, where the Harley-Davidsons are showcased, there are walls stacked with Milwaukee’s best, and sections devoted to military and police models. Only 15 to 20 percent of the collection consists of loaners. 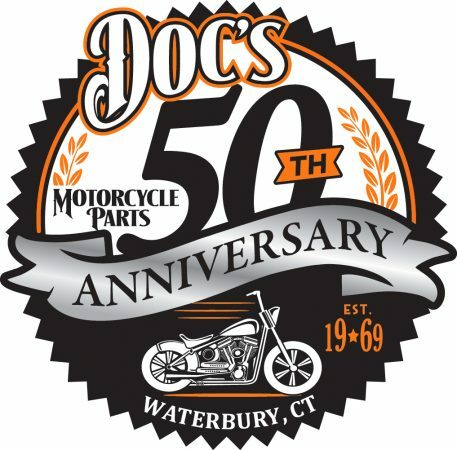 All others were purchased over the decades by Doering and his 87-year-old father, Gerald A. Doering, who bought his first motorcycle in 1940s. It was a 1929 Indian 101 Scout, which spurred the elder Doering to begin collecting Indians. His son followed his lead. 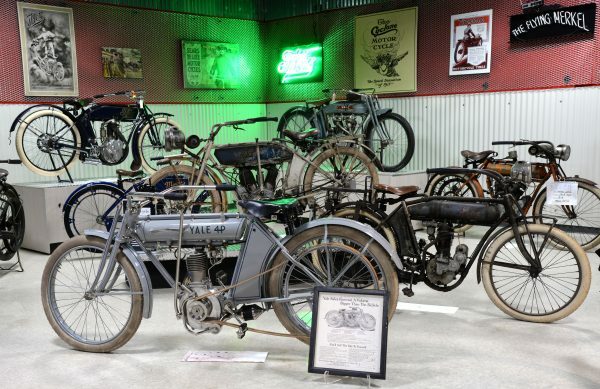 Actually, it’s much easier to list the brands not found in the museum – Brough Superior, Curtiss, Crocker and Cyclone – than to name those that are exhibited. These brands are either too rare to find or too expensive to buy. Not all of the museum’s visitors are motorcyclists, and Doering said it’s the non-riders who often make the most memorable observations. He recalled that one man thought all the restored bikes – the ones with pristine paint, fresh decals on their gas tanks and lots of shiny parts – were replicas and not the real deal. That certainly isn’t the case, although there is a difference between those dully showing off their original patina and the restored ones that sparkle. “One’s got history and one doesn’t,” Linsday noted. 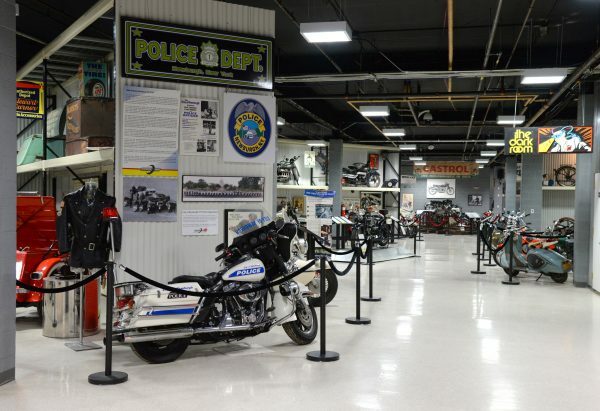 While many of the galleries in Motorcyclepedia are static, the museum has noticeably changed since RIDE-CT first visited on opening day on April 16, 2011. Yes, there are still sections for choppers and another for hill climbers, but galleries have been rearranged and bikes repositioned to allow visitors to get closer to the iron. Five bikes have been sprinkled throughout for visitors to sit on for the purpose of picture-taking. Helping to make a visit pleasurable are friendly docents who are ready with useful information. After chatting with Doering and Linsday, I slowly wandered the museum and overheard one volunteer talking to a couple from Long Island. 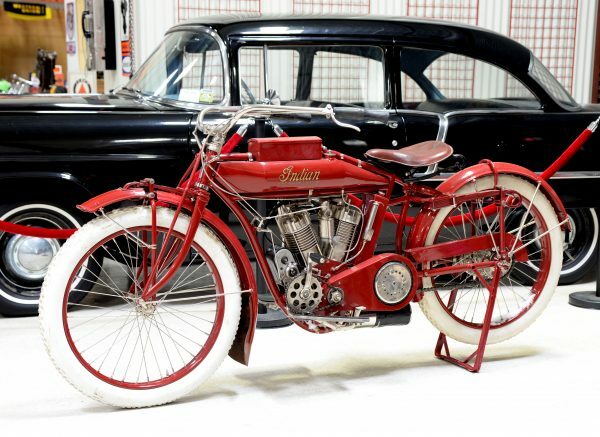 He mentioned that a 1907 Harley-Davidson Model 3 sitting on a pedestal and enclosed in a glass case was powered by an Evinrude engine, a company better known for building outboard motors for boats. Unlike past visits, the day-trip to Motorcyclepedia earlier this month really made me realize that the museum isn’t just for riders. 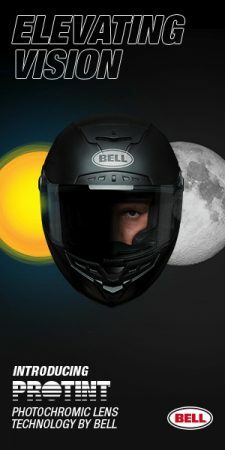 It’s for those who can appreciate motorcycles as art or for their historical significance or for their role in pop culture. If a visitor takes the time to study the displays, a visit can take hours. The Motorcyclepedia is open from 10 a.m. to 5 p.m. Friday through Sunday. Admission is $11 for adults and $5 for children ages three to 12.